Today marks the start of Florida’s 2019 legislative session. 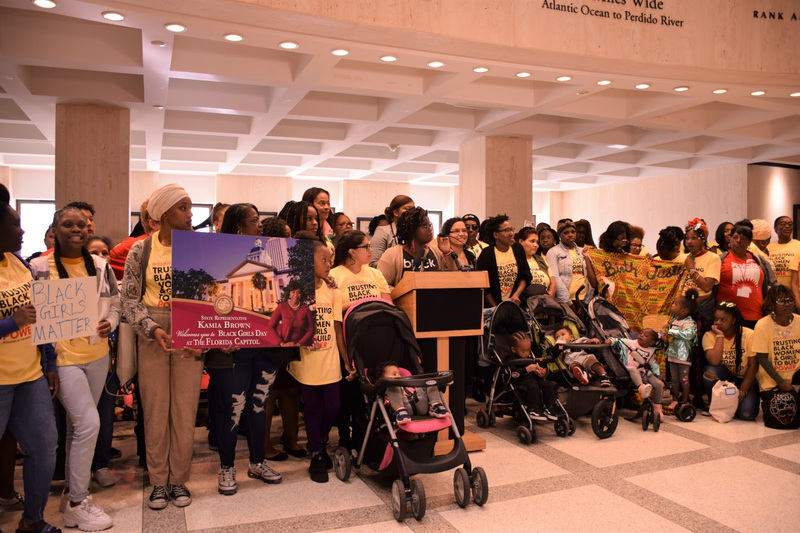 For Florida’s immigrant and refugee families, there’s too much at stake. We’re facing proposed legislation that could seriously hurt our communities. There’s also legislation that would do much to defend our immigrant communities. That’s why I’m in Tallahassee working with We Are Florida to make sure our voices are heard in the capitol. 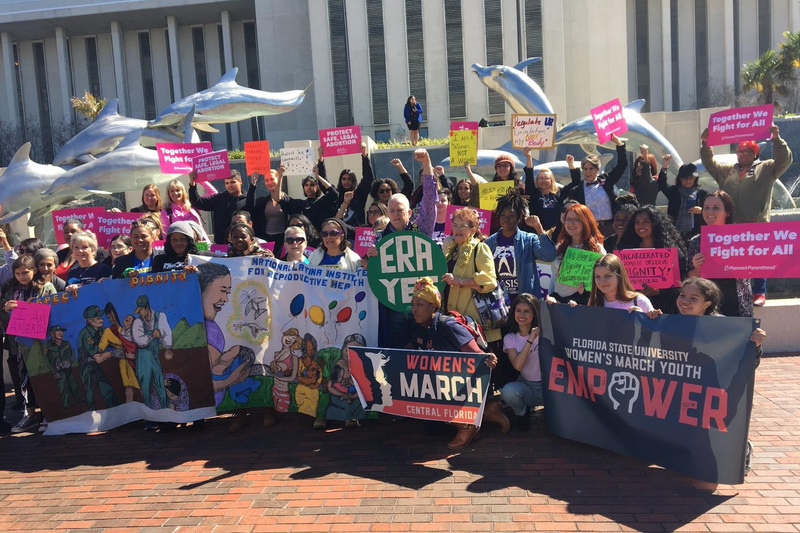 We Are Florida is a broad coalition of groups across the state fighting for our rights. But we can’t do it without your help. 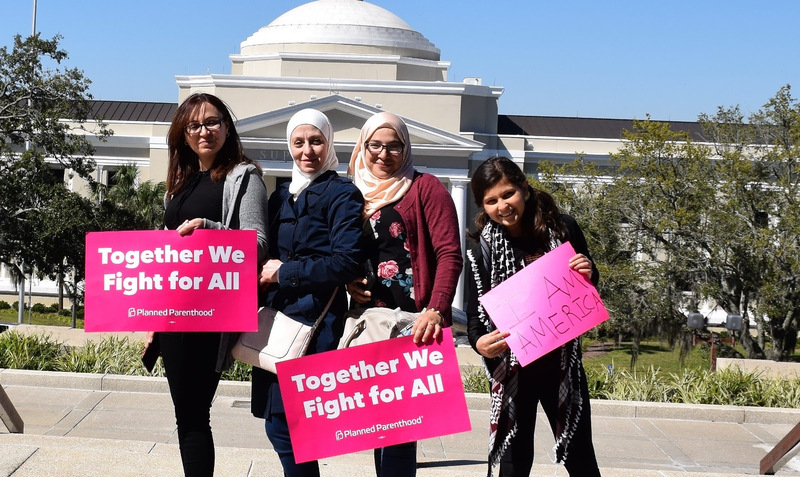 Our immigrant and refugee communities need everybody to be ready to make calls, stay informed, and join us in Tallahassee to speak with lawmakers directly. 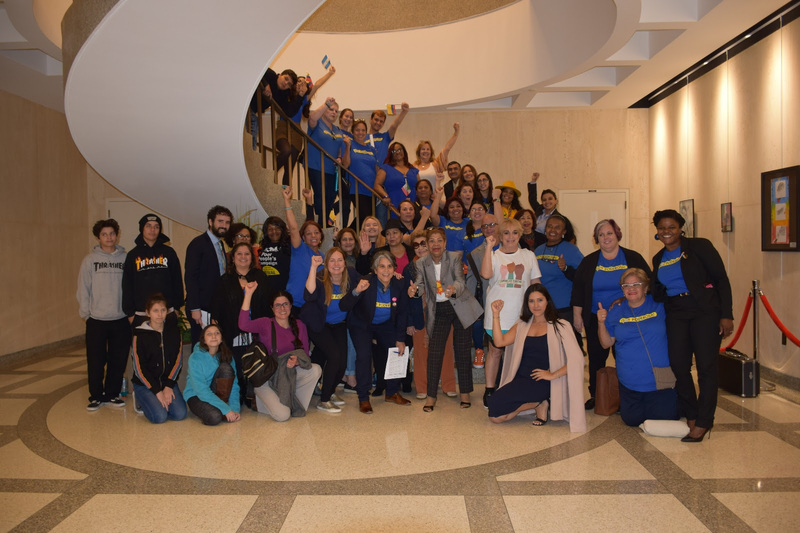 We’ll be keeping you up to date on what’s happening in the capitol throughout this legislative session and make sure you know how you can join us in making Florida a better place for all of us. 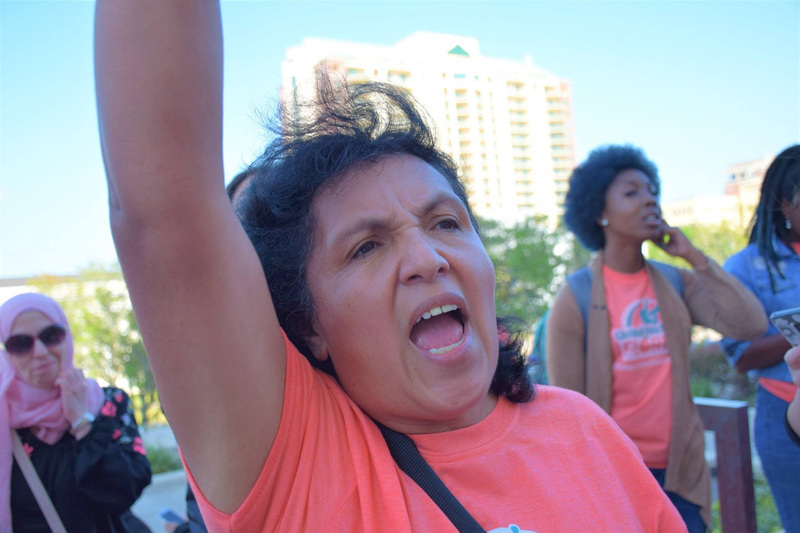 We’ve already had two statewide mobilizations trying to fight State Bill 168, which would force government officials to collaborate with ICE, leading to the deportation of immigrant families at levels never seen before. This anti-sanctuary bill would be devastating not just to our communities, but to the entire state. 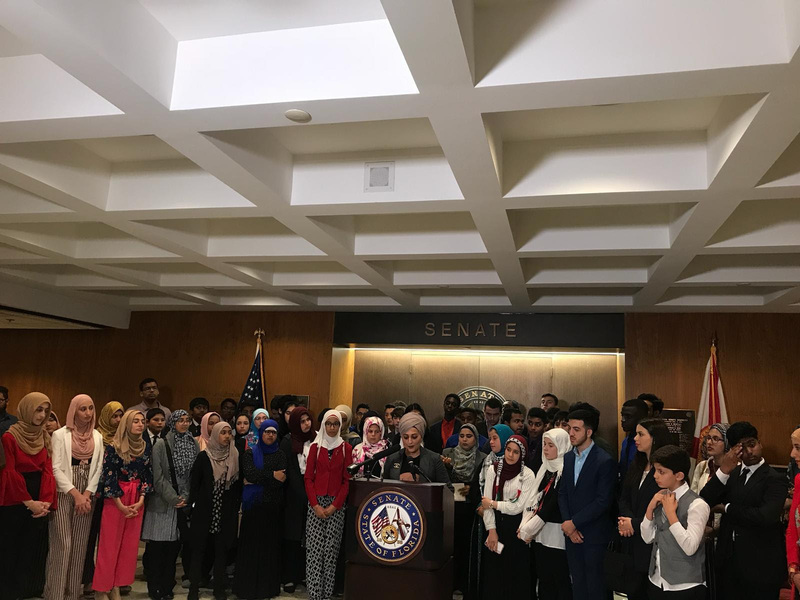 As Paul DiMare, co-chair of the Immigration Partnership & Coalition Fund, wrote in the Miami Herald on Sunday, “This legislation is a direct threat to Florida’s warm and welcoming reputation and will deliver negative consequences for years to come.” We’ll continue to fight back against this bill and its companion House Bill 527. Here are some of the other bill’s we’ll be watching this session. We’ll continue to keep you updated as more bills are filed. 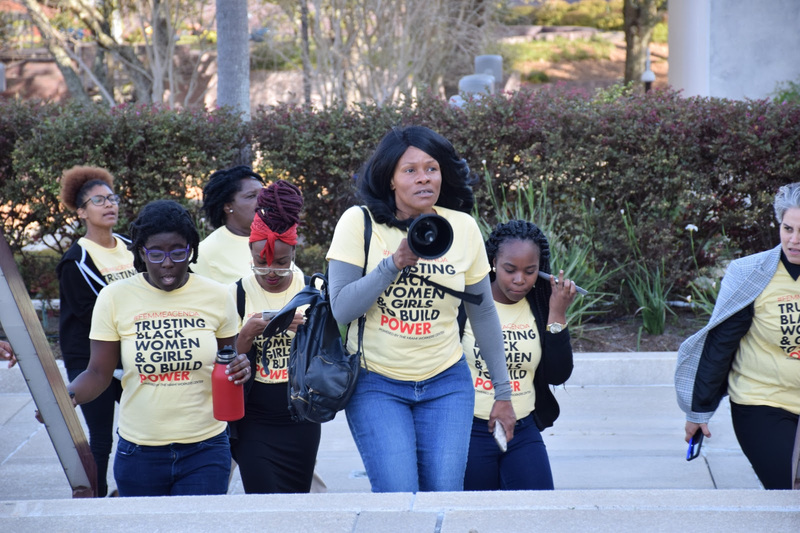 One of the most impactful things you can do during this legislative session is join us in Tallahassee to share your stories directly with lawmakers. 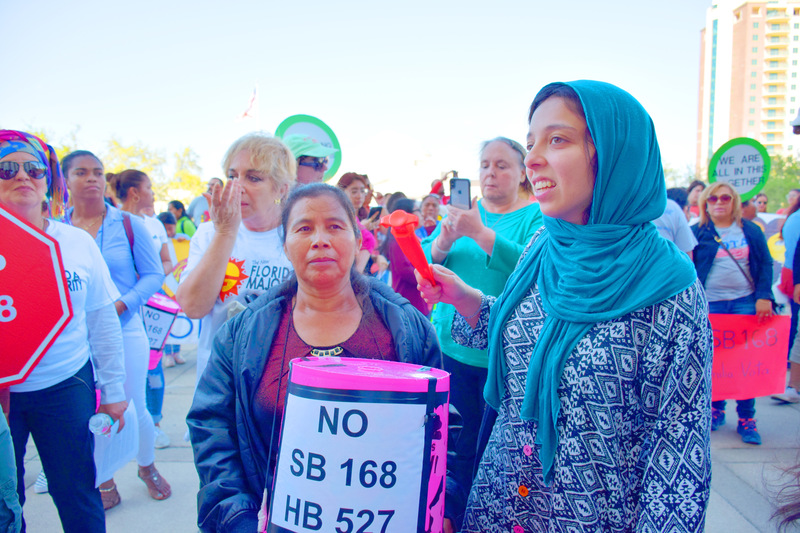 Let your legislators know how the legislation they are proposing would affect our communities, and get to know some of the amazing activists fighting for immigrant rights across the state. Hoy marca el inicio de la sesión legislativa de la Florida del 2019. Hay mucho en juego para las familias inmigrantes y refugiadas de la Florida. Nos enfrentamos a una propuesta de legislación que podría perjudicar gravemente a nuestras comunidades. También hay una legislación que haría mucho para defender a nuestras comunidades inmigrantes. Es por eso que estoy en Tallahassee trabajando con We Are Florida para asegurarme de que nuestras voces se escuchen en el capitolio. We Are Florida es una amplia coalición de grupos en todo el estado que luchan por nuestros derechos. Pero no podemos hacerlo sin su ayuda. 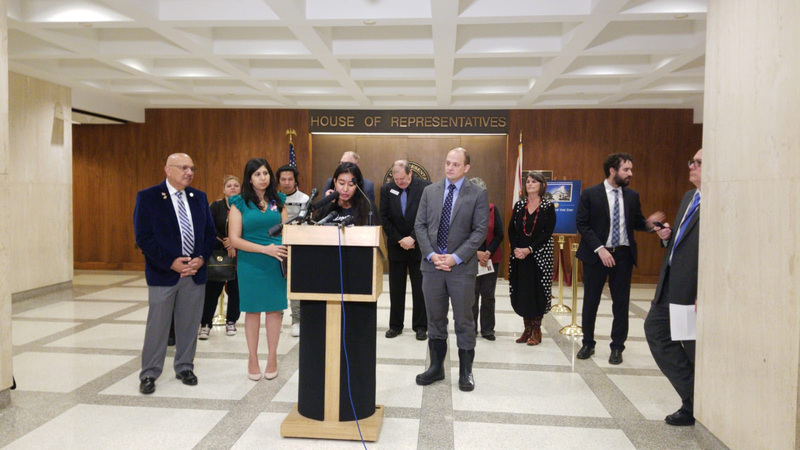 Nuestras comunidades de inmigrantes y refugiados necesitan que todos estén listos para hacer llamadas, mantenerse informados y unirse a Tallahassee para hablar directamente con los legisladores. Le mantendré informado sobre lo que esté sucediendo en el capitolio a lo largo de esta sesión legislativa y me aseguraré de que sepa cómo puede unirse a nosotros para hacer del estado de la Florida un lugar mejor para todos nosotros. Ya hemos tenido dos movilizaciones en todo el estado tratando de luchar contra el Proyecto de Ley del Estado SB 168, que obligaría a los funcionarios del gobierno a colaborar con ICE, una póliza que resultó en la deportación de familias inmigrantes a niveles nunca antes visto. Este proyecto de ley contra el santuario sería devastador no solo para nuestras comunidades, sino para todo el estado. Como Paul DiMare, co-presidente del Immigration Partnership & Coalition Fund, escribió en el Miami Herald el domingo: “Esta legislación es una amenaza directa para la cálida y acogedora reputación de la Florida y generará consecuencias negativas en los próximos años”. Continuaremos luchando contra este proyecto de ley y su proyecto de ley de la Cámara de Representantes HB 527. Estos son algunos de los otros proyectos de ley que veremos en esta sesión. Seguiremos manteniéndolo actualizado a medida que se presenten más facturas. 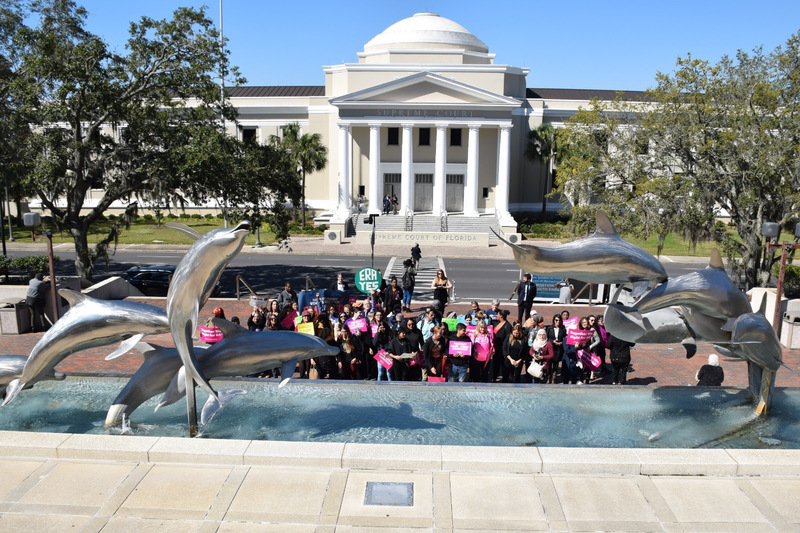 Una de las cosas más impactantes que puede hacer durante esta sesión legislativa es unirse a Tallahassee para compartir sus historias directamente con los legisladores. Deje que sus legisladores sepan cómo la legislación que están proponiendo afectaría a nuestras comunidades y conozca a algunos de los increíbles activistas que luchan por los derechos de los inmigrantes en todo el estado. Jodya se kòmansman Sesyon 2019 Pouvwa Legislativ la nan Florida. Pou fanmi imigran ak refijye nan Floride yo, sitiyasyon an twò kritik pou nou kite l konsa N’ap fè fas ak anpil Pwojè Lwa ki se yon maleng spesyalman pou kominote nou an. Men tou, gen yon Lwa ki la pou defann ak fòs kominote imigran nou yo. Se pou sa m’ap travay nan Tallahassee avèk We Are Florida pou ke yo ka tande vwa nou nan kapital la. Nou Se Florid se yon gwo regroupman Òganizasyon k’ap travay nan tout Peyi a pou fè respekte dwa nou. Men nou pa ka rive fè l san Èd ou. Kominote imigran ak refijye nou yo bezwen pou tout moun mete vwa ansanm, rete veyatif ak vin jwenn nou nan Tallahassee pou pale dirèkteman ak Moun k’ap fè lwa yo. M’ap enfòme nou nan tout sa k’ap fèt nan kapital la pandan peryòd lejislasyon sa a epi m’ap fè nou konnen ke nou ka rejwenn nou pou nou fè Florida vin yon pi bon kote pou nou tout habitan li yo. Nou fè de (2) mobilizasyon deja nan nivo Leta peyi a pou eseye konbat Pwojè Lwa 168 la,mouvman k’ap fòse Reprezantan gouvènman yo kolabore avèk ICE, sa tou k’ap lakoz fanmi imigre yo egzile nan yon volim li pat ko janm ye avan. Pwojè Lwa sa San-Proteksyon ap devaste non sèlman kominote nou yo, menm Leta a tou.Menm Jan Paul DiMare, dezyem Prezidan “Immigration Partnership & Coalition Fund (Fon pou Patenarya ak koalisyon nan zafe imigrasyon)”, te ekri l nan Miami Herald Dimanch lan,li te di : Legislasyon sa menase dirèkteman bèl repitasyon ak akèy Floride la epi tou l’ap gen anpil konsekans grav pou ane k’ap vini yo.” Kontinye batay kont Pwojè Lwa sa ak sila ki ap mache ave l la tou, Lwa 527 la. Men kèk nan Pwojè Lwa nou pral siveye nan Sesyon sa a. Nou pral kontinye a baw plis detay chak fwa gen yon nouvo Lwa ki ta depoze ankò. Youn nan bagay ki pi enpòtan w ka fè pandan Sesyon sa a se vin jwenn nou nan Tallahassee pou pataje istwa w dirèkteman avek Legislatè yo. Fè Legislatè w yo konnen nan ki fason Lwa y’ap pwopoze yo ka gen yon repèkisyon negativ epi chache konnen kèk bon militan k’ap goumen pou fè respekte Dwa imigran nan tout Peyi a. 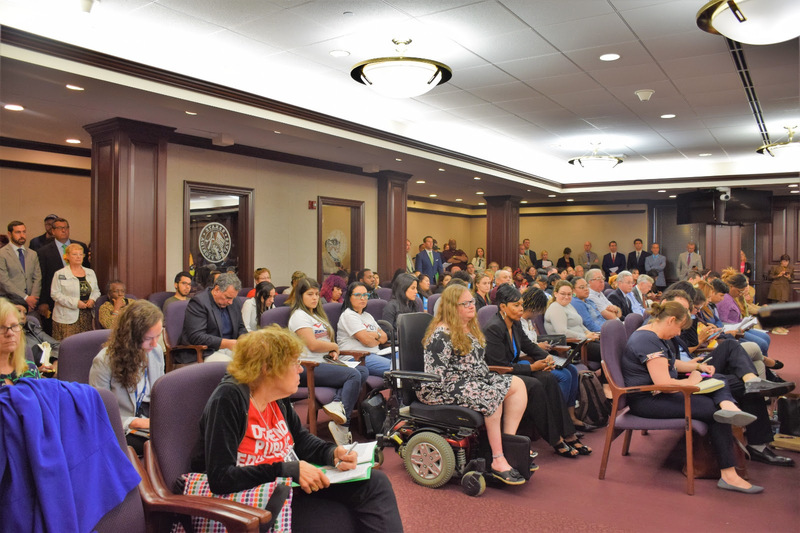 Today, the Florida House Judiciary Committee voted in favor (10-7) of anti-immigrant bill HB9, which aims to legalize racial profiling while punishing local municipalities for protecting its residents. 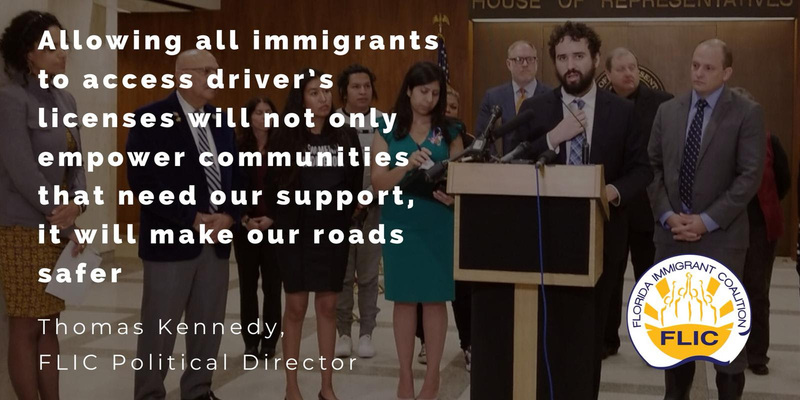 Even though a similar bill approved in Texas earlier this year has received national backlash and constitutional concerns, Florida legislators moved forward to threaten public safety and undermine local democracy by bringing Trump’s anti-immigrant policies to our state. The bill, which was intentionally assigned to only one committee, limiting the opportunities for public comment, and sparking outrage in the community, can be taken up for a final vote on the House floor as early as January 9th the first day of the 2018 Legislative session. 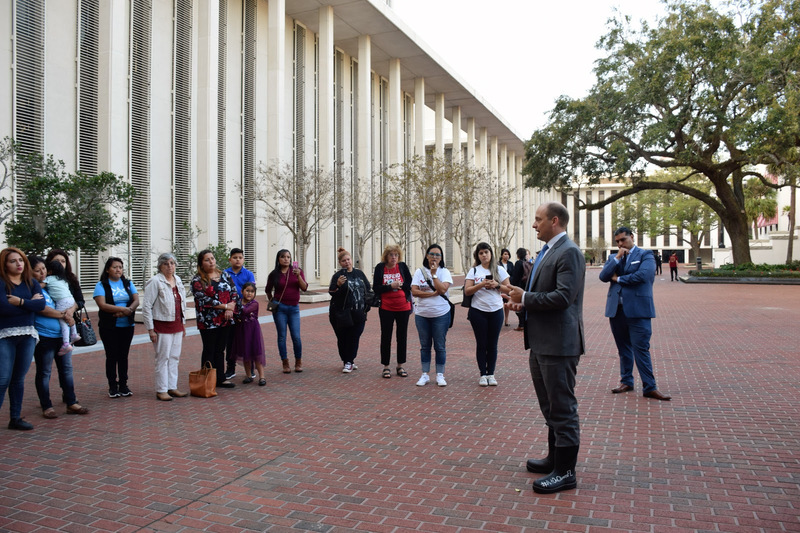 Diverse advocates, led by Immigrant families mobilized to Tallahassee and filled the chambers to give heart-felt testimonies against the immoral and unconstitutional bill. They now turn their eyes to the Senate where reason in years past has prevailed. “Our legislators don’t get tired of trying to criminalize immigrant workers and separate millions of families. But they know we won’t get tired either. 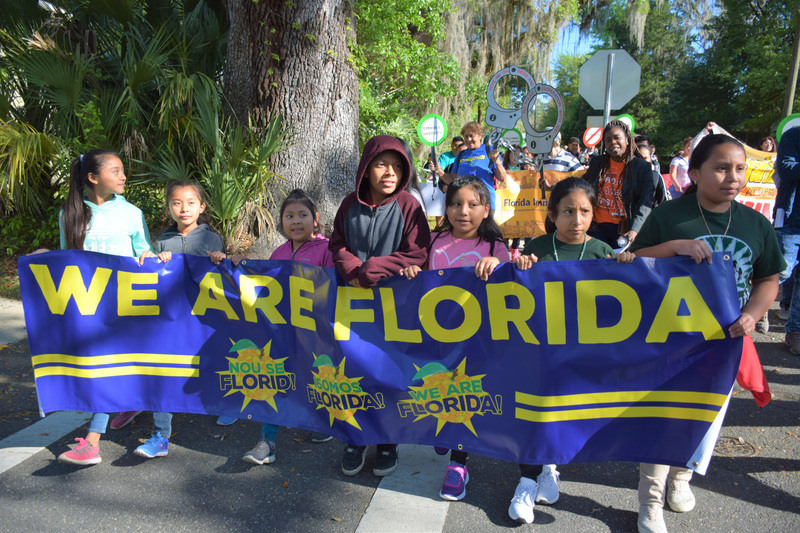 We are Florida and we will never accept any attack to our diverse communities, we will always stand together to protect our families and, at the polls, we will remember who stood with us,” says Maria Rodriguez, Executive Director for the Florida Immigrant Coalition. 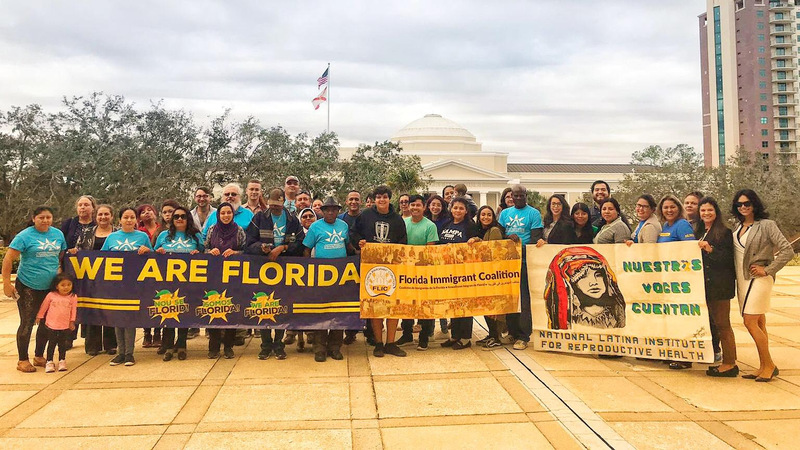 Since 2011, the We Are Florida campaign led by the Florida Immigrant Coalition has mobilized and successfully defeated all anti-immigrant and anti-refugee bills. Farmworkers, labor unions, students and workers from across the state have pledged to use their voice and power to once again put a stop to anti-immigrant bills that hurt us all.